It was a few minutes before midnight. The middle-aged couple was coming home from a fundraiser. Several emergency vehicles had passed them, but they paid them little attention. They lived in the city after all. As they neared their home, the wife was first to notice how the flashing lights were illuminating billows of smoke. She reached out and touched her husband’s arm. In a second, they both knew it would be their house that was burning. The couple, that we will call Mr. and Mrs. Smith, had a teenage daughter with mental illness. It was not the first time she had started a fire. They knew that their daughter needed treatment, but she was stubborn and frequently unruly and wouldn’t take meds even when they were prescribed. Well-meaning friends told them that she was just a teenager and not to worry so much. But this night, every parent’s worst nightmare happened. Their daughter had lit herself on fire, killing her and burning their house down in the process. This is an awful but true story from shortly after I graduated high school. I knew the girl somewhat well. Her sister was in my class. I also worked part-time at Mrs. Smith’s company. There were no words that could comfort the family. In time, the mother came to terms with the tragedy and set out to help others in her community to try to prevent anything similar from happening again. Disclaimer: I am not a mental health professional. If you or a loved one are experiencing symptoms that could signify a mental illness, please seek the appropriate care immediately. 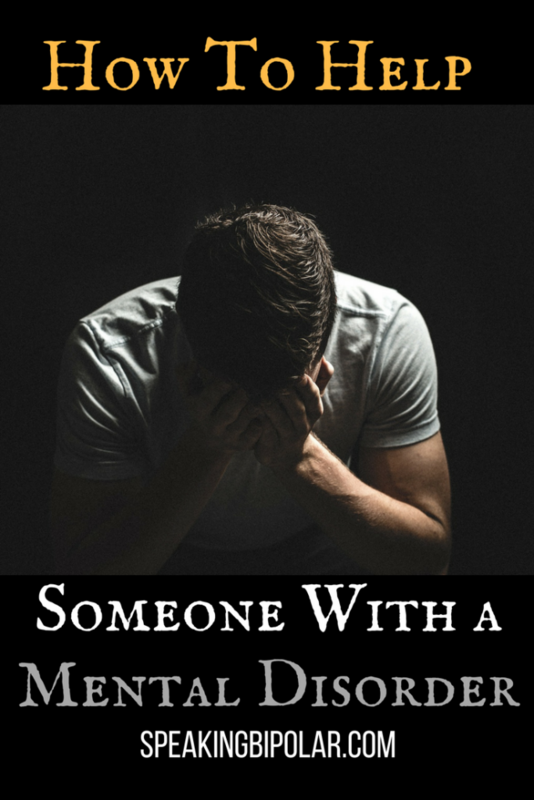 This blog largely shares my experiences in living with mental illness. Some estimate that 1 in 4 people around the world will experience some form of mental illness during their lifetime. Keeping that overwhelming fact in mind, it’s almost a foregone conclusion that you will have a child, spouse, parent, sibling or friend dealing with a mental illness at some point. Another terrible statistic is that individuals with mental illness often take their own lives. Anorexia sees almost a 20 percent suicide morbidity rate. Other high rates include bipolar disorder at 7.77 percent (some estimate as high as 20 percent but I could not find a current study), Schizophrenia at 6.55 percent, and major depressive (unipolar) disorder at 6.67 percent. The first step to helping a loved one is education. If there already is a diagnosis, learn what you can about the condition. Mental illness sufferers may have a limited ability to research their own diagnosis. People with bipolar fight racing thoughts and an inability to concentrate when manic. Depression can leave you in a mental fog with no motivation to consider educating yourself. Many conditions have foundations and support groups that are open to both patients and their loved ones. Talking to others with the condition might help you understand better what your loved one is experiencing. Once you know a little about a condition, start keeping track of symptoms. This can be especially helpful if your loved one has not yet been diagnosed with a condition. Watch for signs of significant change in moodiness, eating habits, sleep duration, and social interaction. Mr. and Mrs. Smith knew that their daughter had not been eating again. From time to time she stopped eating and would go weeks with very little food. She also had been very quiet in the weeks before her death, not speaking much to the family or to her friends. These symptoms and changes may not be perceptible to the patient, which is all the more reason why you should track them. 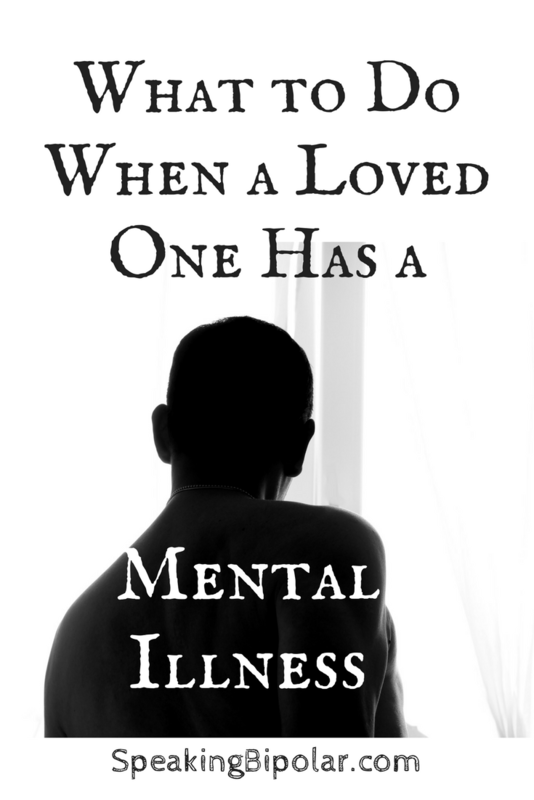 Many mental illnesses are lifelong and others can last for lengthy periods. The good news is, with the correct treatment, many patients can live productive and stable lives. Unfortunately, many patients will go for years without seeking help. In their minds, they believe that things cannot be better. To them, it is a waste of time pursuing treatment that won’t help. But they are wrong. I am living proof. 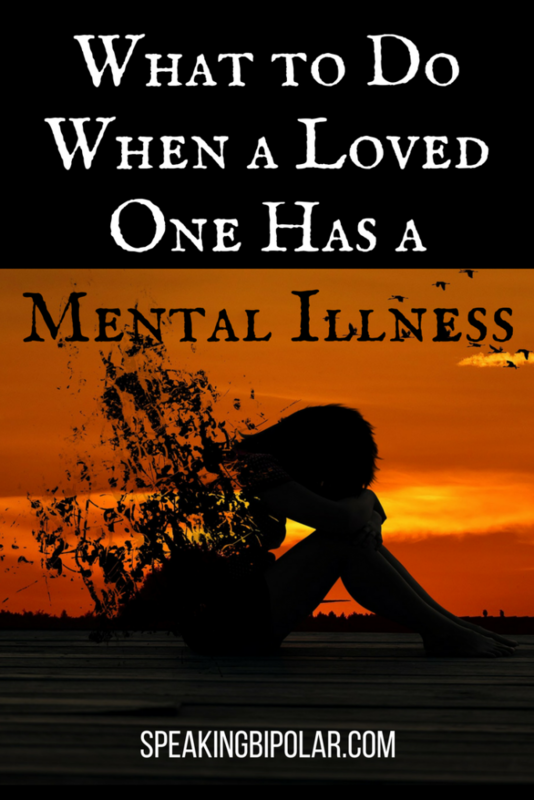 Just like heart disease and diabetes should be treated by an appropriate professional, loved ones with a mental illness must get help from the right professional. Not everyone that can write prescriptions should. 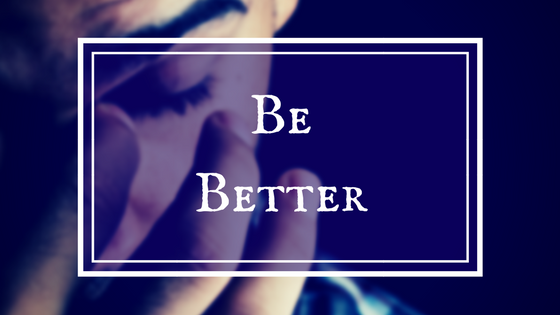 As I share in my experience, a well-intentioned but woefully unqualified doctor tried to address my bipolar disorder. Not fully understanding mental illness, her treatment only led to me getting continually worse until I finally had to be hospitalized. Seek a mental health professional, someone who knows how to treat the illness and is successfully treating other patients. Don’t be afraid to switch doctors if after some time you do not see improvement or the doctor is not a good fit. For a time, I saw a particularly awful practitioner. She did not care what I as the patient had to say. Her goal was to keep me sedated and I slept about 20 hours a day as a result. There is no quality of life when you are only awake four hours a day. Through the help of my family and friends, I realized that she was not a good doctor. I fired her, loudly and publicly (an experience I do not recommend but thoroughly enjoyed) in her office waiting room. Had I not sought another mental health professional, I honestly believe I would not be alive today. If you are the parent of a minor with symptoms of a mental illness, you have the control over getting them to the right mental health professional. With other family members and friends, the situation may be very different. Share the information you have learned about the condition with your loved one. Tell them about others with the condition that are living full lives because of the right treatment. If possible, offer to take them to or go with them to the doctor. For men especially, opening up to a stranger about what you might be thinking or feeling is very hard. Having a friend present can help him to be more open. Going to see a mental health professional is stressful. As a result, the sufferer may not be able to properly explain their symptoms or the behaviors that you see as troubling. Your list of symptoms that you have been tracking will give the doctor background into exactly what has been happening. It will also tell the doctor how long the symptoms have been present and when changes became apparent. The more information the doctor has, the better he can diagnose and treat your loved one. Just like any physical disease, mental illnesses are limiting. That means that your loved one may not be able to do as much as you would like. High expectations can cause the patient to feel overwhelmed and slip into deeper depression as they see your disappointment in their failings. On the other side, mental illness is usually not a complete disability. Putting too much emphasis on the limitations of your loved one will strip them of self-worth and may leave them feeling helpless. It’s a balancing act, and I won’t lie, it won’t be easy for either of you. Not in the beginning anyway. By you staying realistic in your expectations, that balance will be easier to achieve. Mental illness is not an excuse for bad behavior. Starting fires is wrong. Hitting other people or animals is wrong. The destruction of property is wrong. Inappropriate behaviors should not be accepted. Violent actions may require restrictions be put in place to protect both the patient and others. Extreme cases may even require legal intervention. Help your loved one to understand that you love them, sympathize with them, but still require adherence to social norms. Right it right and wrong is wrong. Always. Scientists and doctors continue to work at finding the causes and triggers of mental illnesses. As brain studies continue, the picture of how the brain works with mental illness gets clearer. The why is still largely unknown. There are actions that can contribute to mental illness, including substance abuse and brain injury. In most cases, the illness comes on with no contributing factors. Your loved one did not choose to be sick. Avoid the inclination to blame them for their illness. Even if they did do something that contributed to the mental illness or the severity, harping on what they did accomplishes nothing. The important thing is proper treatment and recovery. Concentrate on moving forward with your loved one. Always keep in mind that they have a real illness. Be kind and forgiving, especially while they are at their sickest. 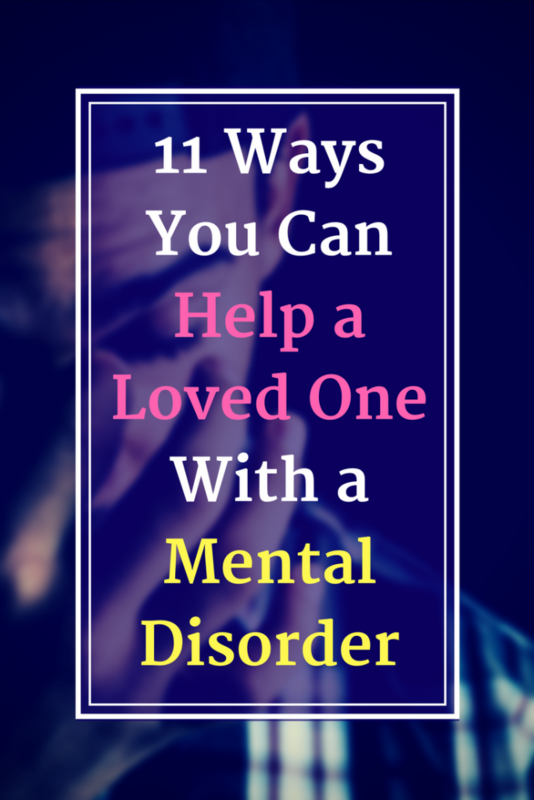 Even though most mental illnesses required some sort of medication or therapy for treatment, there are other things your loved one can do to promote good mental health. Regular exercise, a nutritious diet, consistent sleep schedules and social interaction with positive people can all help to improve mental health. Small groups of friends and simple outings will help your loved one to start to feel connected to the world again. Many medications are negated with alcohol or recreational drug use. If your loved one should not have alcohol, don’t drink in their presence, at least not until they have been stable for some time. 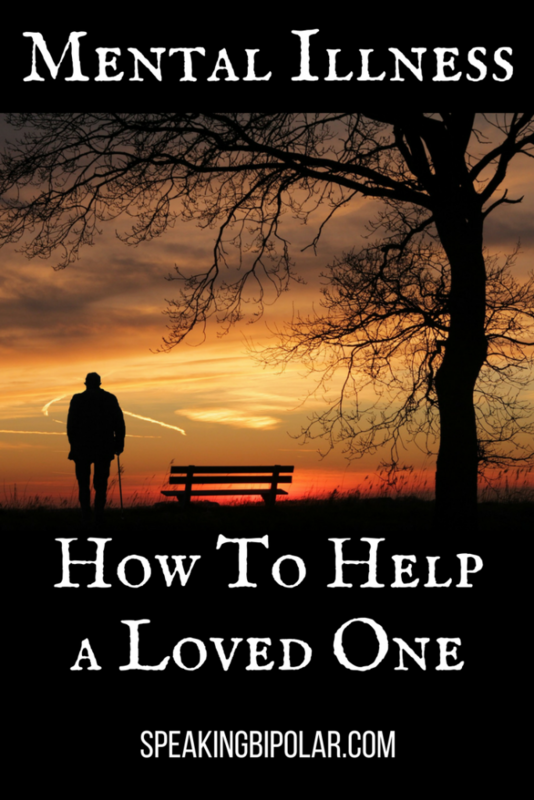 If your loved one does not live with you, it’s important that you maintain regular contact. Calls, visits and text messages will all remind them how much you care. That interaction will help you to keep a pulse on their condition and if their symptoms are getting better or worse. 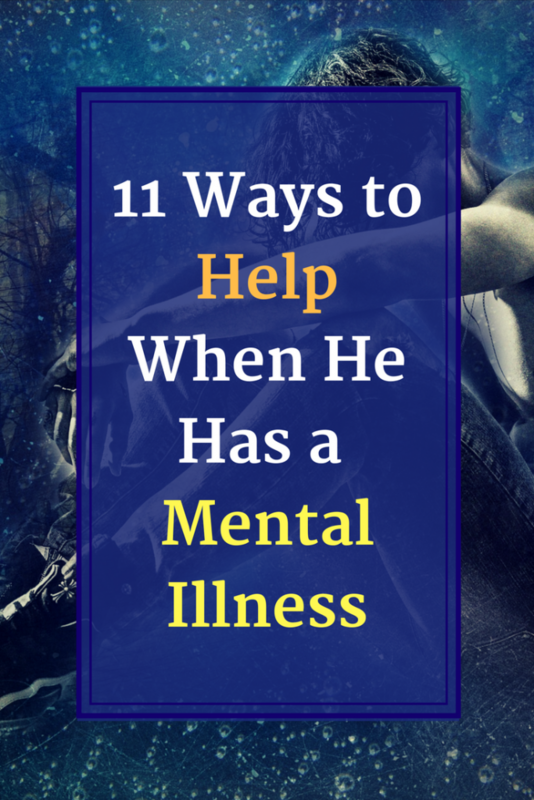 Out of a sense of self-preservation, mental illness heroes tend to push others away. It’s hard to interact with others when there is already so much noise in your own head. Be patient. Stay connected without overwhelming them. Allow them appropriate space and alone time. In the heights of a mental illness episode, words can become difficult. They may not be able to say what they are feeling and may not want you to be speaking either. Just because they don’t want to talk doesn’t necessarily mean that they want to be left alone. Make an effort to stay calm and sit quietly with them. If they want to speak, let them. Offer no judgment on the words that may come out. My greatest mental health advocate is living with Bipolar as well. We both know that there are times when all we need is to sit in silence or to remain silent while the other bubbles forth with a verbal purge. Venting is necessary for everyone, in my opinion, but especially for someone with mental health issues. Let them vent. If what they are saying is too much for you, encourage them to journal the words they need to get out. Getting those words out of their head is an important part of recovery. 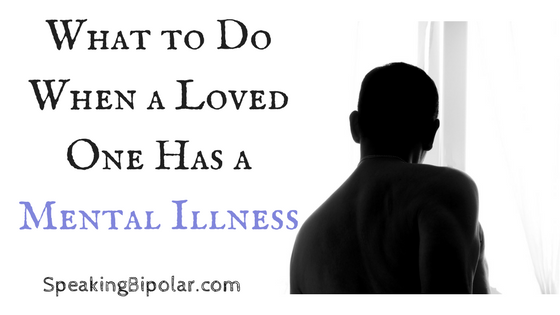 Loving someone with a mental illness can create loads of stress. The unpredictable environment created by mental illness ads to that stress. It is vital that you continue to take care of your own emotional and physical needs. If you don’t remain healthy, you cannot help your loved one. Make sure that you are getting adequate rest, regular nutritious meals and beneficial exercise. Caring for your loved one is important, but your health and well-being should not be sacrificed or neglected in the process. Mr. and Mrs. Smith waiting too long to take action. Don’t make the same mistake. In conclusion, if your loved one has been diagnosed with a mental illness or is displaying the symptoms of one, there is much you can do. Make yourself available to listen. Offer a helping hand or go with them to the doctor. Keep your mind open to understanding and stay positive. By doing these things, you can do much to help them endure, and hopefully to flourish, while living with their condition. Please share this post on social media and with others that could benefit from the content.